A new report from the Centers for Disease Control (CDC) shows that cigarette smoking has fallen to the lowest point in its history in the United States. About 14% of adults, 34.3 million people, smoked cigarettes in the US in 2017. That figure is down from 15.5% in 2016 and represents a massive drop from the 42.4% of adults who smoked cigarettes in 1965. The sharp decrease is a testament to the massive public health efforts to reduce cigarette smoking in the US population. 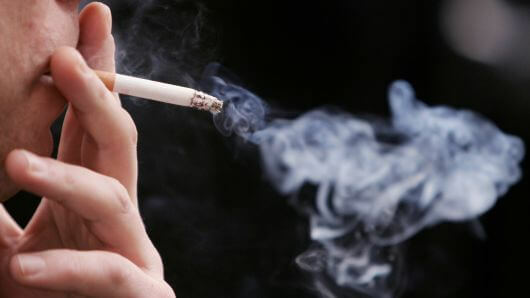 Multiple initiatives, including raising tobacco prices, successfully educating consumers on the dangers of smoking, and providing diverse methods of helping people quit, are all responsible for the decline. While the numbers show progress for cigarette smoking, the number of users increases to 47 million, 19.3% of the adult population, when considering all types of tobacco use. E-cigarettes have increased in popularity in recent years, although the number of users did decrease slightly, from 3.2% to 2.8%, in 2017. Learning lessons from the cigarette epidemic, the Food and Drug Administration has ordered five e-cigarette manufacturers to submit plans to reduce teen use of their products. Quitters are winning when it comes to cigarette use in the US.